Rates: All rates include cart Monday-Friday; 18 holes $39, 9 holes $23, $30 after 1 p.m., $25 after 4 p.m.
Saturday-Sunday: 18 holes $49, 9 holes $30 after 1 p.m. only, $38 after 1 p.m., $30 after 4 p.m. Seniors (60+) 18 holes $30 Juniors (under 18) 18 holes $15, 9 holes $8 Military (M-F) 18 holes $35, 9 holes $21 Military (S-S) 18 holes $45, 9 holes $28 * Senior rate valid Monday-Thursday only. Junior rate good after 1 p.m. Saturday-Sunday (walking only). Cart is complimentary for juniors when accompanied by a paying adult. Tee time reservations: Up to 7 days in advance with a credit card guarantee required. Cost: May 1-15: West $175, Mountain $175, East $205. May 16-30: West $220, Mountain $220, East $255. Oct. 1-31: West $190, Mountain closed, East $215, includes cart and range balls. Tee time reservations: Up to 7 days in advance. Tee time reservations: Tee times taken on weekends-call three days in advance after 11 a.m. Dress code: Proper golf attire at all times. Tee time reservations: Contact pro shop up to 7 days in advance beginning at 7 a.m.
Sept. 21-Dec. 31: Weekday 9 walking $16 ($26 w/cart), Weekday 18 walking $28, Weekend 9 riding $32, Weekend 18 riding $52. Reservations can be made up to 7 days in advance, in person or via phone, at 719-385-6950. Dress Code: Proper golf attire at all times, must have driver’s license to drive a cart. Dress Code: No denim, collared shirt required. No metal spikes allowed. Dress code: All male players are required to wear shirts with collars, women must have shirts with either a collar or sleeves (or both). Shorts must have an inseam of at least 4 inches, and T-shirts, tank tops, halter-tops, and cut-offs are strictly prohibited. Resident Monday-Thursday: 18 holes $57, 9 holes $35, $25 juniors, $45 seniors, $39 after 3 p.m.
Friday-Sunday & Holidays: 18 holes $67, 9 holes $40, $25 juniors after 4 p.m., $67 seniors, $43 after 3 p.m.
Nonresident Monday-Thursday: 18 holes $64, 9 holes $35, $32 juniors, $55 seniors, $42 after 3 p.m.
Friday-Sunday & Holidays: 18 holes $77, 9 holes $46, $32 juniors after 4 p.m., $77 seniors, $49 after 3 p.m.
Resident Monday-Thursday: 18 holes $62, 9 holes $38, $25 juniors, $45 seniors, $39 after 3 p.m.
Friday-Sunday & Holidays: 18 holes $72, 9 holes $43 a.m. only, $25 juniors after 4 p.m., $72 seniors, $43 after 3 p.m.
Nonresident Monday-Thursday: 18 holes $72, 9 holes $43, $32 juniors, $55 seniors, $45 after 3 p.m.
Friday-Sunday & Holidays: 18 holes $82, 9 holes $49 a.m. only, $32 juniors after 4 p.m., $82 seniors, $49 after 3 p.m.
Resident Monday-Thursday: 18 holes $54, 9 holes $32, $25 juniors walking, $38 seniors, $34 after 3 p.m.
Friday-Sunday & Holidays: 18 holes $61, 9 holes $37, $25 juniors walking after 2 p.m., $61 seniors, $38 after 3 p.m.
Nonresident Monday-Thursday: 18 holes $64, 9 holes $38, $32 juniors walking, $50 seniors, $41 after 3 p.m.
Friday-Sunday & Holidays: 18 holes $70 18 holes, 9 holes $42, $32 juniors walking after 3 p.m., $70 seniors,$44 after 3 p.m. Dress code: Both the practice facility as well as the golf course require proper dress attire at all times, denim is not allowed and shirts must have a collar. The entire practice area is only open to players on the same days tee sheet and current pass holders. If you are not a pass holder you may purchase a daily pass from the pro shop. If the professional staff has 15 stations set up for use and you are the 16th player to arrive, you are not to create your own station or take another players balls, once a station opens up you may begin your session. If you bring more people than your pass covers you must pay the daily fee prior to going to the range. Age of your guest does not affect if you need to pay for them or not, all players not covered are expected to be paid for. Pass holder rate can be booked 7 days in advance. This rate is also the applicable guest rate. You must be a current Ridge Pass or annual pass holder to receive these rates. Each Pass Holder is eligible for up to 3 accompanied guests per day, additional guests pay the applicable rate. If you are not a Pass Holder at The Ridge and have interest go to the home page of the website and click on Pass Programs. Rates: The Ridge at Castle Pines uses a dynamic pricing model, which means they offer different prices throughout each day and season. The online approach to pricing helps make the game accessible for regular customers and allows them to successfully compete for new customers. Check online for pricing. Tee time policy: First come, first served. Active duty and active reserve military get a 25 percent discount on range balls and green fees. Rates: Before May 25 Weekdays (Mon.-Thurs. 9 holes $15 walking, 18 holes $20 walking, $30 w/cart. Weekends 9 holes $20 walking, 18 holes $30 walking, additional $10 for golf cart. Twilight (after 3 p.m.) $15 for nine holes..
After May 25: Contact golf shop for rates. Twilight, after 5:30 p.m.: $12 walking as many holes as you can play. May 11 — US Open Local Qualifier, Broadmoor Golf Club. May 16-17 — Stars & Stripes Cup, Eisenhower Golf Club. 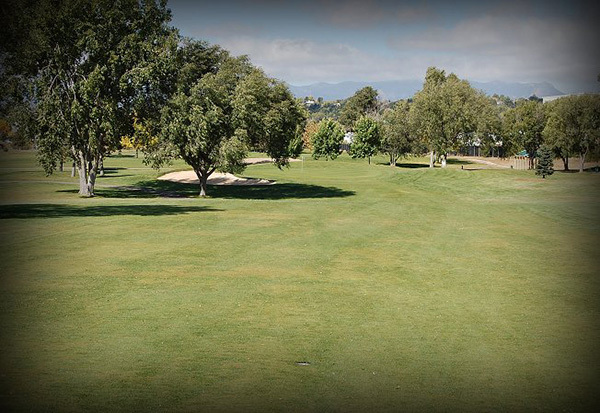 June 5-7 — Valley Hi Springer Championship, Valley Hi Golf Course. 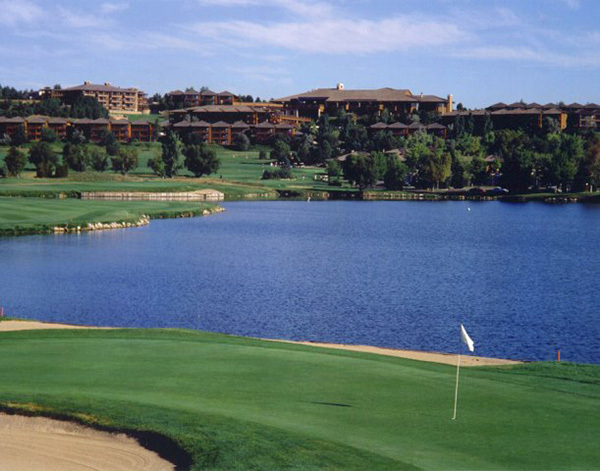 July 6-10 — CGA Match Play Championship, Broadmoor Golf Club. July 20-25 — Pikes Peak Amateur, Patty Jewett Golf Course. July 29 — CGA Stroke Play Qualifier, Antler Creek Golf Course. 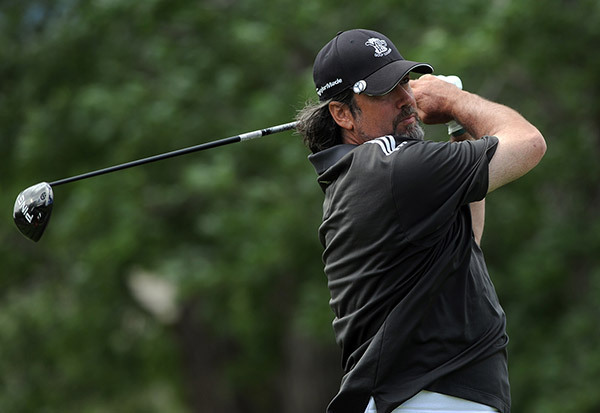 Sept. 5-7 — Colorado Springs City Championship, Valley Hi Golf Course. Sept. 26-27 — City Two-Man Championship, Patty Jewett Golf Course.